With practitioners in the country’s filmic genre (Nollywood) failing to put Africa’s folk narratives on screen through animation and other performance forms for their economic value, the job has fallen on writers to bear the burden of archiving the abundant, rich oral tradition. And the writers are discharging this duty admirably to serve the dual purposes of entertainment and education in sound morals. Indeed, the writers have continued to march on in helping to retrieve Africa’s threatened oral heritage encapsulated in the folktales. 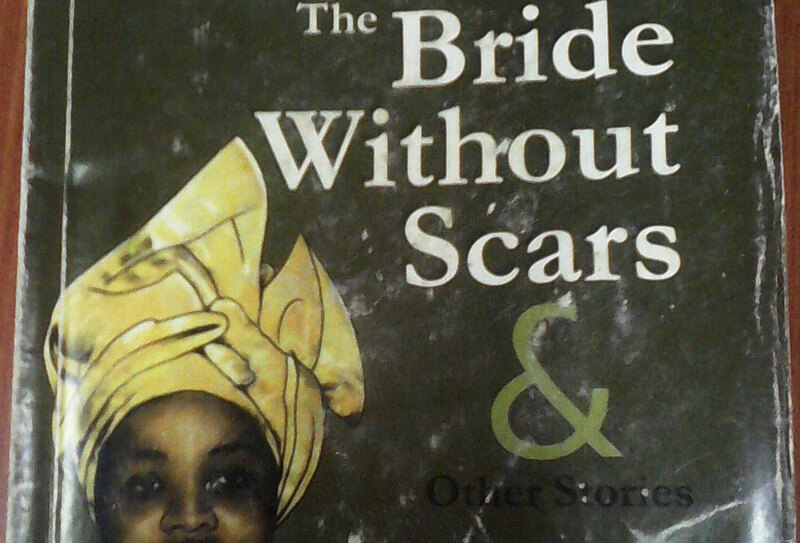 The most recent being Dr. Bukar Usman’s The Bride Without Scars and Other Stories (Klamidas Communications Ltd, Abuja; 2017) under its Klamidas Classic Folktales imprint. In this collection of folktales that will charm both children as well as adults alike, Usman has written 10 folktales that could have been set on any part of Nigeria as human and animal characters cut across regions and geography in their universal application in teaching valuable morals of greed, meekness, goodness, pride, and all the emotions that govern man in his relationship with others in any given environment. The snake and his fellows take her to ‘his’ home in the forest and put her in the hollow of a tree. Everyday, fellow snakes would lick her skin and it becomes sour and then she gets pregnant and delivers a monster. Then one day, she sees the rich farmer in her village passing by; she had rejected him because he had a small scar in his hand. She sings her woes to him and he returns to tell her parents about her plight. They manage to rescue her from the snakes. When she delivers, the snake seeks her out and ‘he’ comes visiting with ‘his’ fellow snakes as usual, but the girl’s parents dig a pit that serves as seat and set fire in the bottom of it for them. That was how the snakes are vanquished along with the monstrous child. The third story is ‘The Old Woman and the Girl,’ which extols the virtue of kindness and selflessness. It tells how a girl’s kindness, in spite of her having so little, turns out to be a source of blessing for her in her hour of need. Kindness transforms an ordinary, orphaned girl from her lowly life to the palace and she becomes the favoured queen of the kingdom. In the animal tales’ section, Usman also deploys the ancient stories of his environment to deliver timely wisdom on the many virtues that man should aspire to and declaims those vices that are so common, but which diminish man’s greatness when he embarks on the folly of being mean. Although told about the relationships among animals, they are as human as can possibly be in their messages. And so in ‘The Cat and the Unfaithful Rat,’ Rat eats up the entire storehouse of food both Cat and Rat have stockpiled for the rainy day in the days Cat goes on his many trips. But Cat isn’t that dumb to Rat’s treachery. At last, Rat comes to ruin when Cat decides to eat ‘him’ up, apparently in lieu of their food Rat has stolen. In a unique manner, after each story, Usman would provide the moral of the tale to assist young readers glean the significance of each tale. Not only that Usman also makes the collection of folktales doubly rich by providing a ‘Story-Writing Workshop for Students’ section to aid them in the process of creative writing. He provides useful hints and guides on the art of story writing, and advises the teacher how he can apply them to teach his students. Indeed, possessing a copy of The Bride Without Scars and Other Stories is a boon, especially for young readers from age four upwards, who have never been in a moon light tales’ session. Importantly, Usman is in a solid position to promote Africa’s special oral art as the president of Nigerian Folklore Society (NFS), which has its conference coming later in April. This book, like many others he has written, is designed to advance the rich tradition of Africa’s oral narrative both for archival and continuity purposes.